The hazard perception test is an online computer-based test which measures a driver’s ability to recognise and appropriately respond to potentially dangerous situations while driving. P1 provisional licence holders must pass the hazard perception test to graduate to P2 provisional or open licence (dependent on age). The hazard perception test is different from conventional licence tests which concentrate on road rules and vehicle control. The test will consist of a series of video clips. The customer will be presented with a video clip of a traffic scene and will be required to identify (by clicking the mouse in the appropriate position) a potential traffic conflict that would require the driver to take some action. For example, slow down, overtake or change course. In essence, young drivers will be tested not only on their ability to identify a potential hazard when driving, but also if they are able to react quickly enough to avoid a crash. The hazard perception test will be a computer-based test delivered on-line via the Queensland Transport website www.transport.qld.gov.au. Queensland Transport will send all eligible P1 provisional licence holders an ‘Eligibility to Upgrade P1 Licence (F4587)’ letter which will provide further information. To do the test the customer will need access to a computer with broadband internet access and Adobe Flash Player version 9 or greater installed. Those customers who do not have a computer with a broadband connection are expected to utilise a friend or family members’ computer or utilise a computer at a public library or internet cafe. The test is available on the Queensland Transport website under the Services Online menu, the customer logs in by providing their driver licence number, name and date of birth. To be eligible to sit the test, the P1 provisional licence holder must have held their licence for a cumulative period of 10.5 months (six weeks prior to holding a P1 provisional licence for 12 months), not including periods of suspension or disqualification. 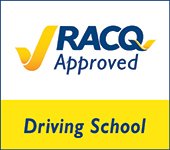 This will give them time to get familiar with the test requirements, and pass the test in readiness to upgrade to a P2 provisional or open licence (depending on age). However, P1 provisional licence holders must have passed the hazard perception test and held their P1 provisional licence for 12 months before they can upgrade their licence at a driver licence issuing centre. The test is expected to take an average of 15 minutes to complete, however it is recommended that 45 minutes is allowed. A customer can take the test as many times as necessary until they are successful and pass, however, they are only permitted to take one test per calendar day. A one-off fee of $15 will be charged for the hazard perception test and will be payable when they pass the test. If they have to repeat the hazard perception test, this fee will not be charged until they pass the test. The hazard perception test fee can be paid over the internet using a credit card, over the phone using a credit card or at a driver licence issuing centre by cash, cheque, eftpos or credit card at the time of upgrading to a P2 provisional or open licence. Once a test has been successfully completed the P1 provisional licence holder visits their local driver licence issuing centre, completes a driver licence application/ renewal form, submits their completed application, and pays the prescribed fee to be issued with their P2 provisional licence.